Available in four colours to suit your kitchen colour scheme. 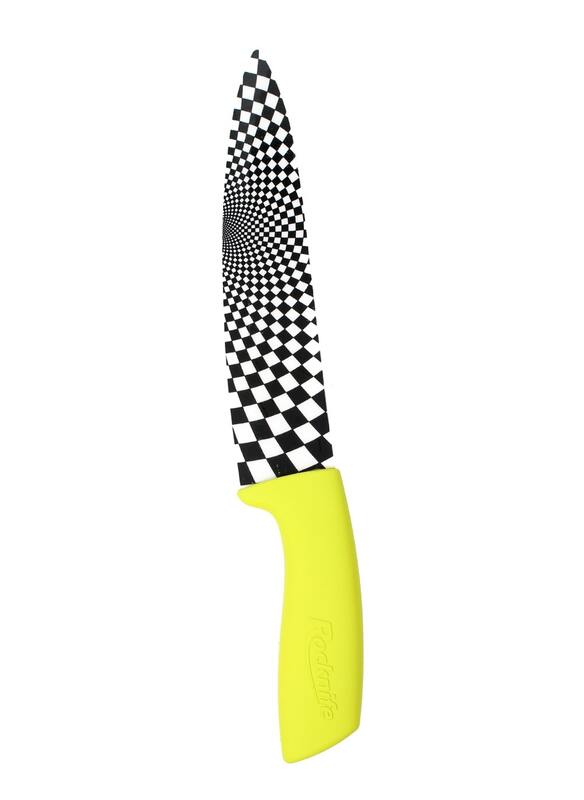 A professional Chef's Kitchen Knife is an absolute must have for anyone taking pride in their cooking, whether professional or not. 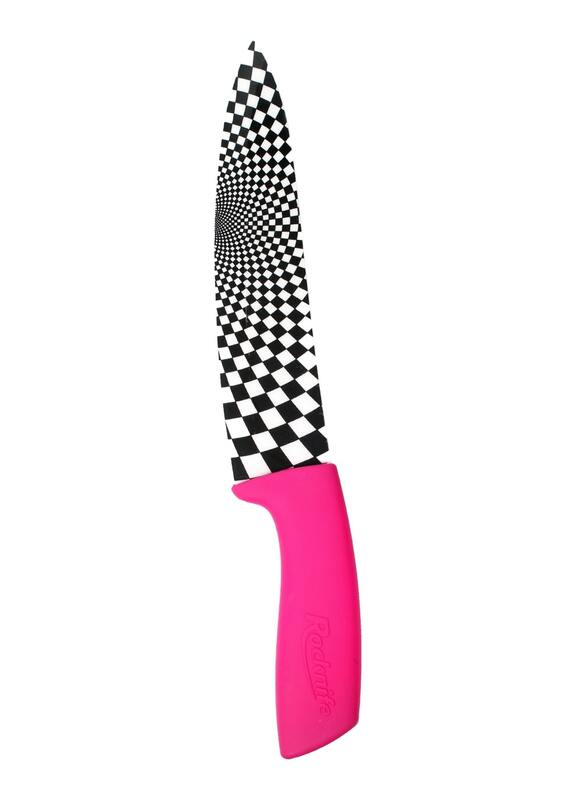 And this beautifully, hand finished 8 inch ceramic knife will do just that. 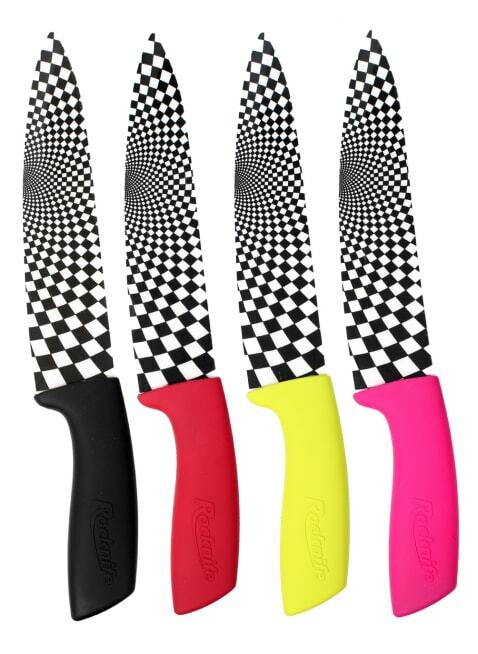 It's well known most people today reach for their favourite kitchen knife, the one that does most jobs and that is precisely what we have designed here. 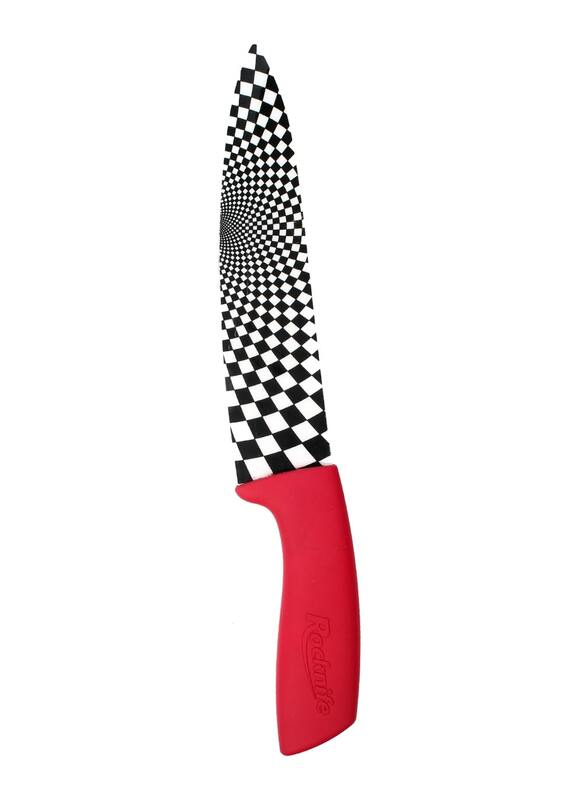 An exceptionally well balanced, comfortable grip knife that will cut through all fruit, vegetables and kitchen needs. Because of the hardness of the ceramic blade, it's not necessary to have a serrated edge, this knife will act perfectly as a large bread knife, slicing through bread to the exact width and fineness you need. An exceptional knife for everyday use, that will quickly become your favourite kitchen knife that you reach for time and time again.